The remote St Helena, Ascension and Tristan da Cunha lie between Africa and South America, forming a British overseas territory. Though separated from one another by great distances, the islands form a group and provide a home for just over 5,000 permanent residents. A holiday in St Helena, Ascension and Tristan da Cunha will take you to one of the world's most remote areas. 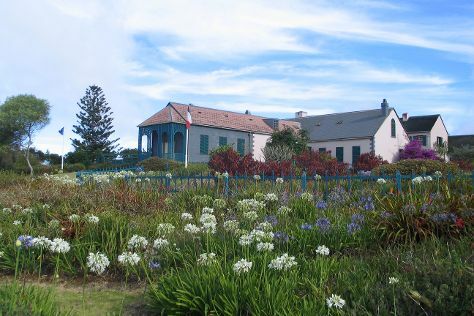 St Helena is the best known of the three islands--Napoleon was imprisoned there in the 19th century. Sport fishing is the main draw for short-term visitors making a trip to St Helena, Ascension and Tristan da Cunha. St Helena, Ascension and Tristan da Cunha is in Africa. When using our St Helena, Ascension and Tristan da Cunha trip planner to make an itinerary online, St Helena, Ascension and Tristan da Cunha holidays come together around your tastes, interests, and requirements, with us taking care of the logistics.